Question #9 on the 2010 Census form is the key question in our effort to get an accurate count of the Ethiopian and Ethiopian-American community in the United States. The question is simple to answer. 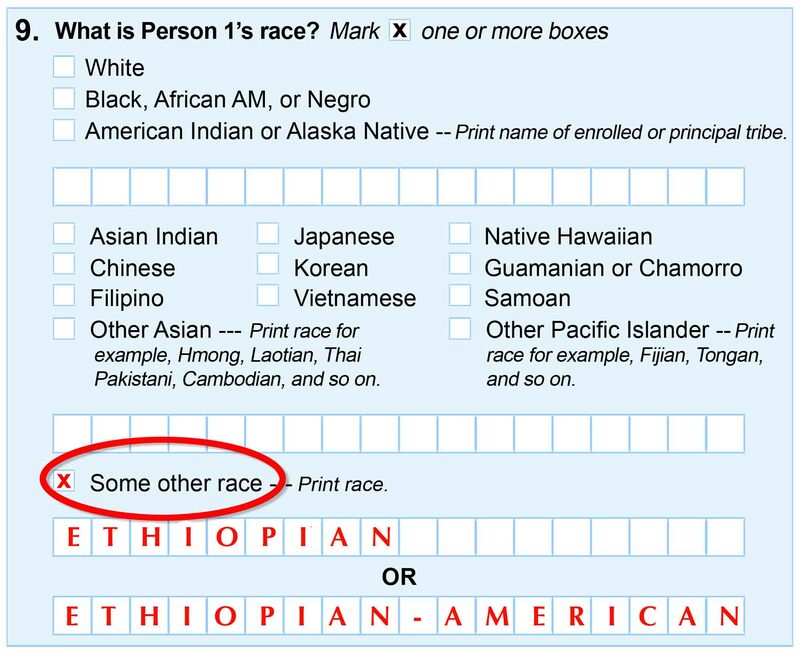 Just mark "some other race," then write "Ethiopian" or "Ethiopian-American" in the space provided.